Sincerely speaking, I couldn’t help but to really applaud MTN Nigeria for this laudable Cheap Data plans, seriously you need to go dust your MTN Line and come quickly back to the yellow side, few days ago while we publish the MTN Suprise Data plan that seems to be the cheapest, however it wasnt made available for everyone, but am glad to tell you that this brand new MTN data plans can be used by both young, Old, Adult, In fact teens are welcome. Lol. All you need do is to go grab a Yellow sim if you have lost one or you among the millions whose line was blocked, quickly go register your line and enjoy with me. 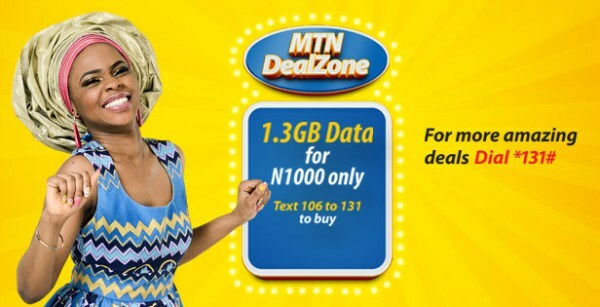 This plan can seriously make you love MTN, it works on all devices, be it Android, IOS, or even your Computer, thou we need 3GB for #1,000 oo I know we will get there soonest, without any doubt am sure either airtel , etisalat or Glo would roll out its cheapest to counter this, well the competition is welcomed, while we await the introduction of MTN 4G LTE.